PHP is an open source language used for scripting mostly for general purposes, is widely used for web development, and is compatible with HTML for embedding. It is mainly a short form used for PHP: Hypertext Preprocessor. These factors should be kept in mind while comparing PHP Vs Python. PHP is mainly used for server-side scripting. There are three pre-requisites to this for making the script successful. One is the Common Gateway Interface module which is also known as the PHP Parser or the server module. The second is a robust and durable web server. And the third is a trusted web browser like Chrome or Google. The input here is through the server and the output is through the browser. This feature makes it the best backend language for web development in this regard. The unique feature of such scripting is that a particular PHP script can work even without a server or a browser. This does sound like a magic potion or a spell but is not. A CGI module or a PHP Parser is necessary for working the script out. The scripts which use cron in their execution like *nix or Linux which is more prominent in Ubuntu software are examples of Command Line scripting. Windows also use Command Line scripting in the form of Task scheduler which is based upon simple text processing without any complexities. This is one more area where PHP becomes handy for language scripting. Though one cannot create desktop applications in the absence of a graphical interface, some of the advanced features can be used for creating user-oriented or client-side desktop applications. Such features include PHP-GTK which enables a software expert to write programs across platforms like Unix, Linux, Mac, and Windows. The main advantage of PHP is that it is compatible with all operating systems like Windows, Linux, and Mac without any obstacle or hassle. Also, the scripting of the server-side can be derived easily. The programming language of PHP is found to be similar to that of C. Hence, this makes the process of learning the syntax for PHP easy for creating web scripts. Speed is very important when it comes to downloading the website. A slow web page shall lose its audience even when the content is attractive. Coders and developers prefer using PHP because of its speed and quick response. The development and maintenance of the PHP are done by a group or community of developers who extend their support in the form of a dynamic library. PHP includes a large collection of modules pertaining to its functionality, and PDF along with graphics are a part of these indicating the open source nature of the programming language. The PHP language is almost 22 years old in the coding and development domain. And over the years many viruses, errors, and bugs have been fixed to make this certain programming very robust, durable and stable. This factor is a strong point in the PHP-Python war. With positives, there are also negatives associated with PHP. One of such negatives is that it cannot support the coding or scripting capacity for a larger or more dynamic format of applications and can be more suitable for creating small-sized applications only. Without putting in additional codes, a particular web application can perform on the basis of PHP frameworks. And the time taken for learning PHP frameworks shall require additional knowledge about the same. And one can run web applications through such frameworks even in the absence of the expertise of PHP coding. As there is a community or group of developers which extend support for supporting PHP frameworks and their coding, the PHP frameworks developed by individual developers may not be able to provide adequate support. This also implies the limitation of the PHP is being an open source framework. Along with the provision of a basic skeleton or framework for web applications, PHP also provides customization for their development. Despite such dynamic features, developers or coders have failed to modify the core behavior of the PHP framework. It is a dynamic and high-level language for programming which can be interpreted and is object-oriented. It is mostly a dynamic format for Rapid Application Development or RAD. It is also a form of adhesive programming language which aims to stick or built all the necessary components together. Python web programming is simple and easy along with the readability of its syntax and language. It also extends support towards modules along with packages which in turn support modularity of the program and reusing the codes developed. Python is also an open source framework in which the library can be derived from the source or through binary coding. Also, the scripts of high-level programming are included in Python already in such a manner that the lengths of the codes to be written for Python are set or limited. The productivity of the programmer expands from around double to approximately ten times with the dynamic support of the libraries, designs developed for object-orientation, and programming languages like Visual Basic and Java. Along with other added features, a framework for unit testing is also included for checking the speed of the software in a way that productivity is on the rise and a wider arena for building network applications for multi-protocols which can be scalable. The features of Python are dynamic and extensive in such a way that developers or programmers may even find it difficult for adding the appropriate brackets and semicolon in the syntax. Mobile applications are mostly structured through software or programming language like that of Carbonnelle because Python is mostly used for developing web-based or desktop based coding or programming. The web development in Python is through an interpreter and not the compiler. This factor pulls down the speed of the program or code due to lack of adequate compilation as well as the implementation. Also, this particular program also has run-time errors due to its slow process of testing and the errors are only detected when the entire application is run. This is also due to its dynamic coding and design of the application. Python is getting more famous and popular due to its simple and lucid programming and coding which enables a particular coder or programmer to learn it easily. On the other hand, although PHP is more popular than Python, it is losing its target audiences. Python is gaining a growth rate of about 20% every year. And PHP is showing a negative trend for growth every year. The community support for Python is huge and dynamic along with its libraries. Also, Python has support from the Python Software Foundation. In parallel to Python, PHP is an open source programming channel which also has a huge support community but not as dynamic as that of its competitor. Python is mostly used for web development, scripting, developing scientific applications, etc. PHP concentrates only on web development. 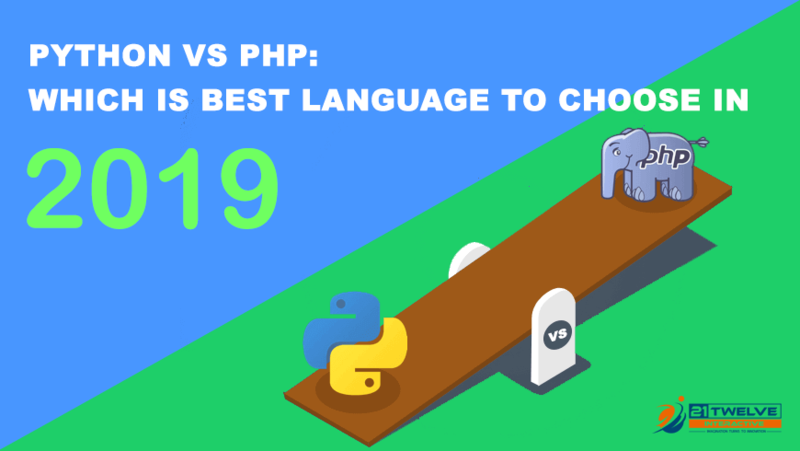 Hence, with consideration of the advantages and disadvantages of both scripting languages, the best language for 2019 to be chosen can either be Python for web development or PHP depending upon the nature of the work is demanded from a software developer or a coding expert. Also, PHP Development Services can be summoned at any time because it is a robust and durable scripting language with some limitations against that of Python but not an outdated version in scripting languages. The complexity of the software or application shall decide whether a certain language used for scripting is robust or durable. How to Fix Stop Video Buffering or Streaming Issues?